If you are in the business of making things, you must now consider what impact 3D Printing (aka Additive Manufacturing) will have on your enterprise. 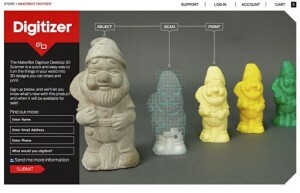 Desktop DIY Digital Fabbing Meets eComm…AND You Need To Know! The Revolution will not be televised…it will be a You Tube how-to about desktop, small-batch product-making meeting the needs of self-identifying, worldwide customers for specialized things via social media-driven eCommerce. Now, you must catch-up with the latest 3DP…so you can make informed decisions about your organization’s opportunities at the Revolution. 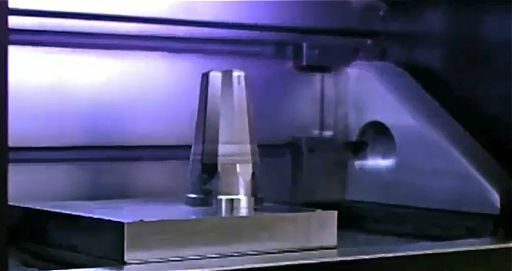 Here are two minutes of joyous and sublime video explication and inspiration: how-tos and why-tos of 3DP! 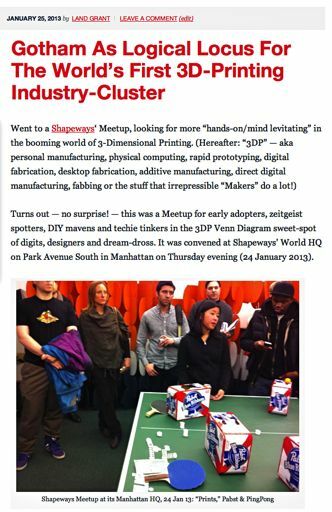 Shapeways is the innovative 3DP service bureau that opened a factory (I like to call it a “foundry”) in Long Island City, Queens, in October of 2012. Shapeways–now headquartered in Manhattan–has big plans and big VC funding to match. Lisa Harouni is Co-Founder and CEO of Digital Forming, “a software house [in the U.K.] that aims to democratize design for 3D printing technologies.” She spoke on 3DP’ing in November of 2011 at a TEDsalon event in London. The tech is now slightly dated—18 months is a generation in ICT equipment (Information & Communication Technology). Note, however, that the laser-sintering printer is an EOS machine similar to those used by Shapeways in LIC today. The implications Ms. Harouni draws from 3DP tech are still cutting-edge—AND disruptive. This strategic partnership–announced last week at SXSW Interactive Fest in Austin–demonstrates how far some booming startups in 3DP have come. MakerBot–current world leader in DIY Desktop 3DP hardware manufacture–is three years old. Autodesk–30 years old–is a highly respected maker of software for the architecture, engineering, construction, manufacturing, media and entertainment industries. 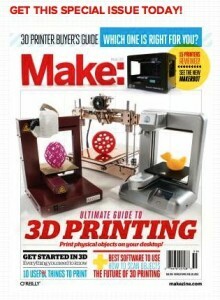 Nonetheless, “establishment” Autodesk found collaboration with “techreative” MakerBot a strategic imperative. At last week’s SXSW Interactive Fest in Austin, MakerBot also sneak-previewed its Digitizer 3D Desktop Scanner prototype that “analyzes real-world objects and generates designs compatible with its 3D printer line.” Scanners are another element of the complete desktop 3DP ecosystem MarkerBot is rapidly developing. O’Reilly Media–established by Tim O’Reilly, computer and tech media guru, in 1978 (hey, the Apple II was intro’d in 1977)–helps propagate ICT innovations through tech books, magazines, ebooks, videos, conferences, special events, expo exhibiting, equipment sales, accessories supply, tool offerings and online services. Through its various media vehicles–including special publications like this “Buyer’s Guide”–O’Reilly, early on, had “seen the future” of Additive Manufacturing and worked to legitimize the 3DP industry. Personal Fabrication–heavy on the “personal” and DIY–and 3DP are now a major commercial vectors for O’Reilly. See the following O’Reilly entries for major national and local events and a catalog addressing 3DP. 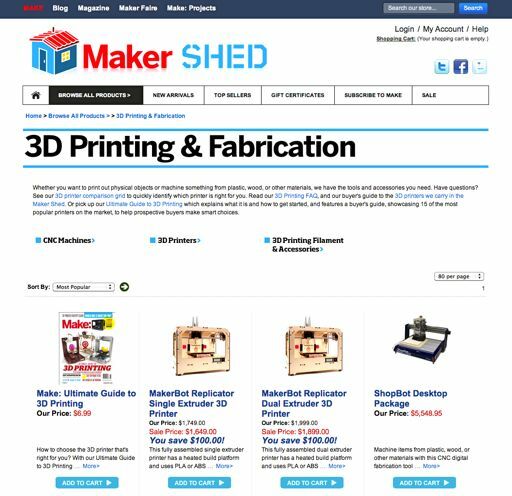 The term “Media” in O’Reilly’s corporate title is becoming more of a misnomer–with each 3D Printer sale from its “Maker Shed” online store. O’Reilly’s 360-degree coverage of the Maker phenom includes festivals called Maker Faires. These include a conference, expo, demonstrations, cyber-flea market and steampunk circus. 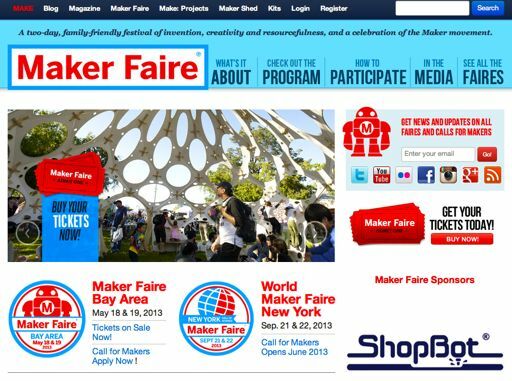 All these activities are rolled into a single multi-day event that offers a broad-spectrum platform for the diverse interests of Makers. O’Reilly characterizes its Maker Faires as “A two-day, family-friendly festival of invention, creativity and resourcefulness, and a celebration of the Maker movement.” Because of their popularity, the Maker Faire experience is now more widely available via smaller, local events called Mini Maker Faires–the concept and celebration presented on a smaller scale and in smaller cities in the U.S. and around the world. 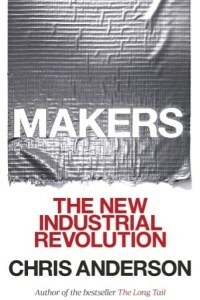 “Maker Shed” is O’Reilly’s 3DP & Fab Catalog for the information and offerings to “make” the user into a personal-fabrication maker. 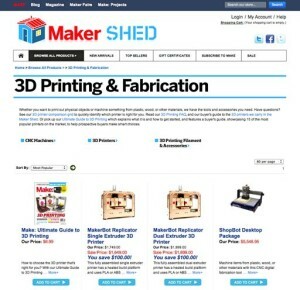 These Maker Shed products include guides, how-tos, comparison grids, FAQs, 3D printers, tools and accessories. In the booming 3DP segment, O’Reilly has moved beyond media–as a popularizer–into manufactured goods–as a player in this new industry. 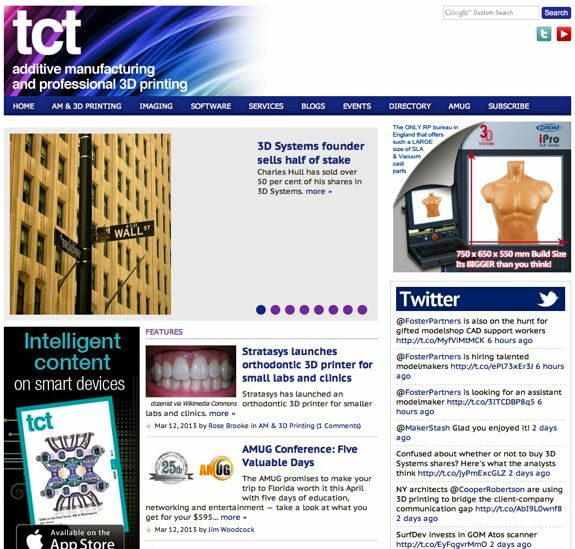 tct (once standing for Time Compression Technologies), of the UK, claims to be the only “communication portfolio” that covers Additive Manufacturing and Industrial 3D Printing in print, online and in-person—globally. Much of what I’ve presented here are resources that focus on the personal manufacturing (Makers) and DIY 3DP end of this industry’s niche. It all seems so new–especially in its recent acceleration into public consciousness. BUT, “rapid prototyping” tech has been under development and in use for more than 20 years. 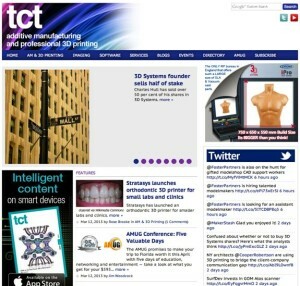 One publication (now a portfolio of media) that has apparently covered it all is “tct” of the UK. (That tct once stood for “Time Compression Technologies:” yep, rapid prototyping by another name!) 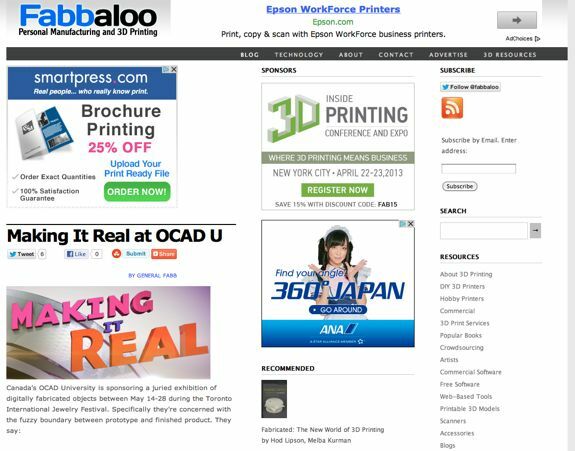 This multi-media, single-industry organization STILL prints (physically) a bi-monthly magazine–now augmented by a Web site, exhibition and conference. 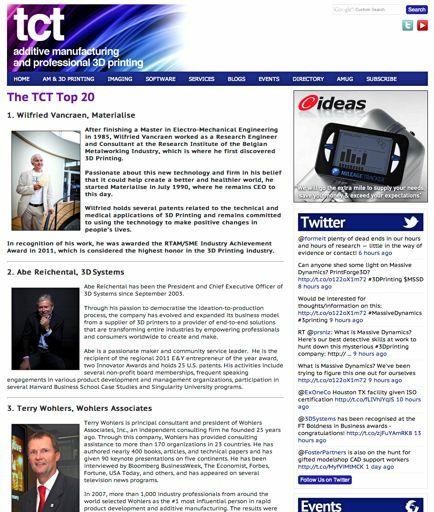 With more than 20 years covering the Additive Manufacturing and Industrial 3D Printing marketplace, tct Magazine has the expertise and gravitas to rank the top 20 players in the industry. 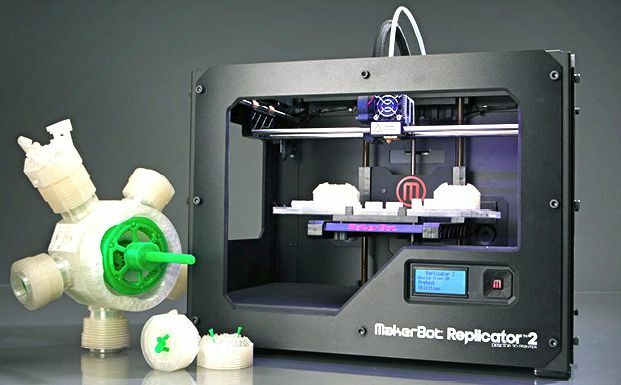 This list provides a quick education in which companies and organizations–and, of course, their executives–have the greatest clout and influence in the AM/I3DP industry segment. OK: Here’s how my thinking goes…and why I’m high on Additive Manufacturing & 3D Printing. My kind of Tech Empowerment is targeted at the very small businesses and the micro-enterprise in the ultra-urban NYC of individual neighborhoods and communities. These “little local companies” are usually retailers. And, I’d like to see them incorporate appropriate “Bodega-Tech For Mom&Pops” to enhance their success in their hyperlocal marketplace. 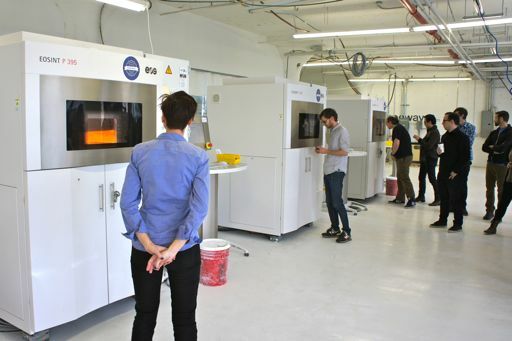 One of the most important “Bodega-Techs” will certainly be 3DP! This another reason why Gotham’s 195,000 small businesses needs an NYC-located 3DP industrial cluster in the Five Boroughs. 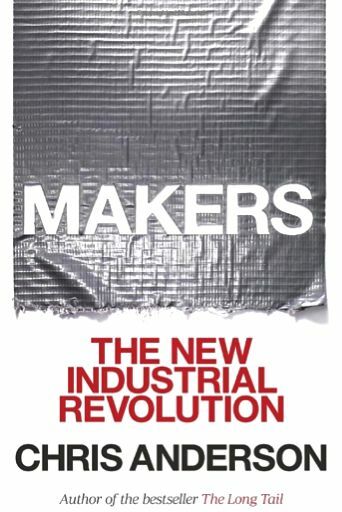 Once You’ve Studied The Resources Above, Read MAKERS and Align Maker History With Your New Maker Future: Success Seeks Synergy! This entry was posted in Email, HOME, Video, Views. Bookmark the permalink.